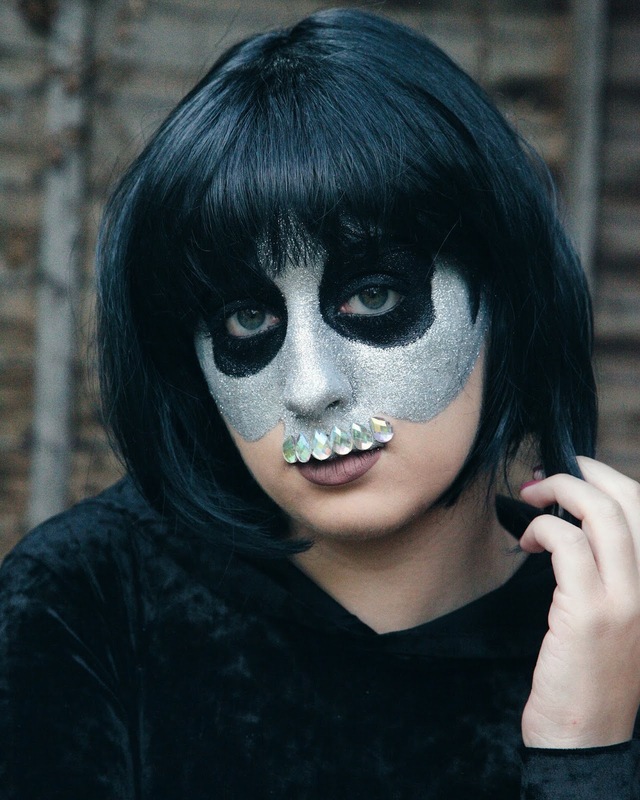 Eeeek my first Halloween post for this year! 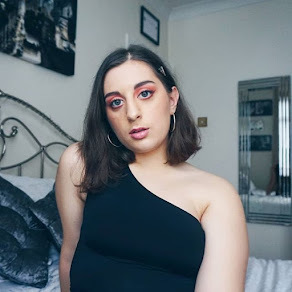 I really hope that you've been loving Blogtober so far and are super ready to get into the full on Halloween content now that the month is slowly drawing to a close! 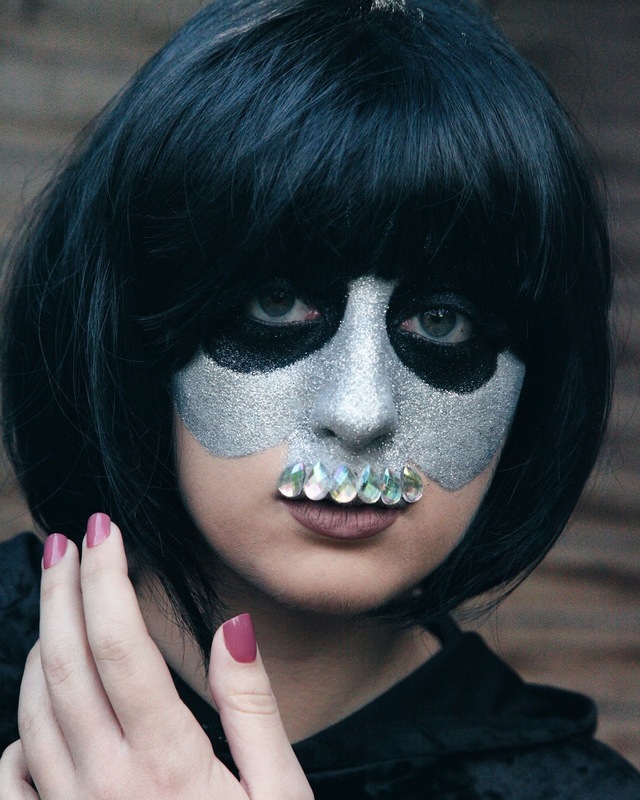 Once again, I was roped in by sister and makeup artist Elena Pylarinos to have my face painted in the most weird and wonderful way yet! 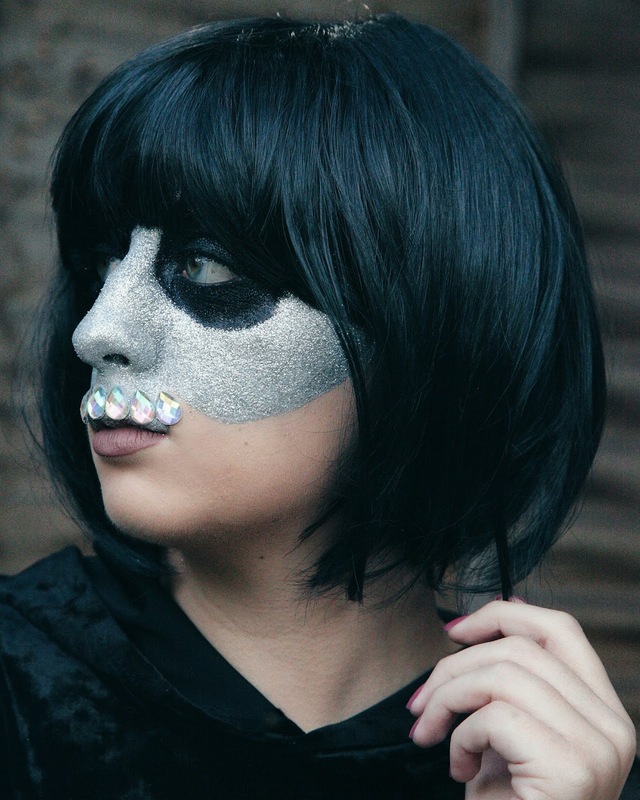 The Glitter Skull, not for the faint of heart might I say, is unlike any other Halloween look but it proves to be one for the true lovers of glitter and for those who can't really stand to be an overly bloody mess at Halloween, no pun intended! I am always intrigued by the way in which my sister's inspiration from a photo or from her own preconceived idea slowly manifests itself into reality. She absolutely loves to get stuck in and goes above and beyond to ensure that the final look is the best one possible! 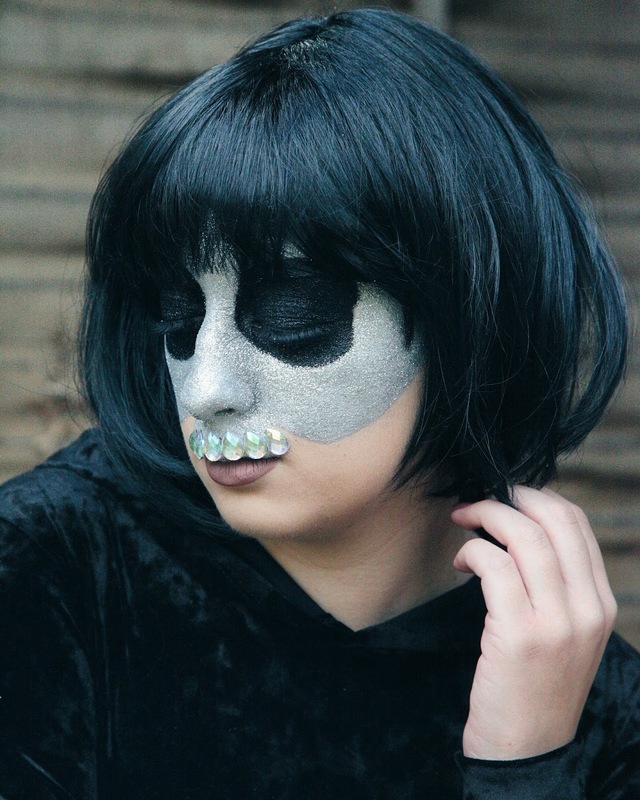 So, if you're looking for a makeup artist to create incredible Halloween looks on you then check out her Instagram and get in touch! Now, just like many other individuals, I love Halloween! 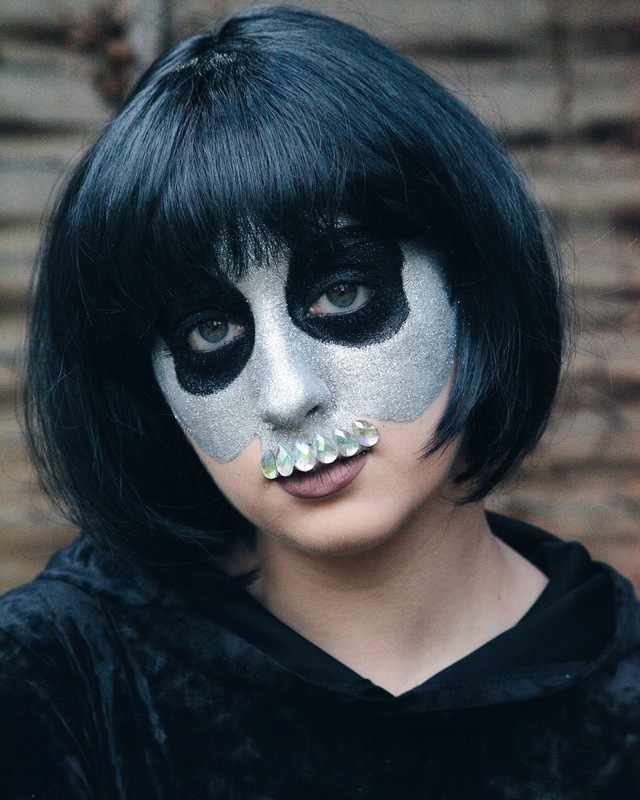 I find it so cool that it is that one time of the year where you can truly get as creative as possible and have fun even if it is to scare everyone in sight with how scarily realistic you look in costume! 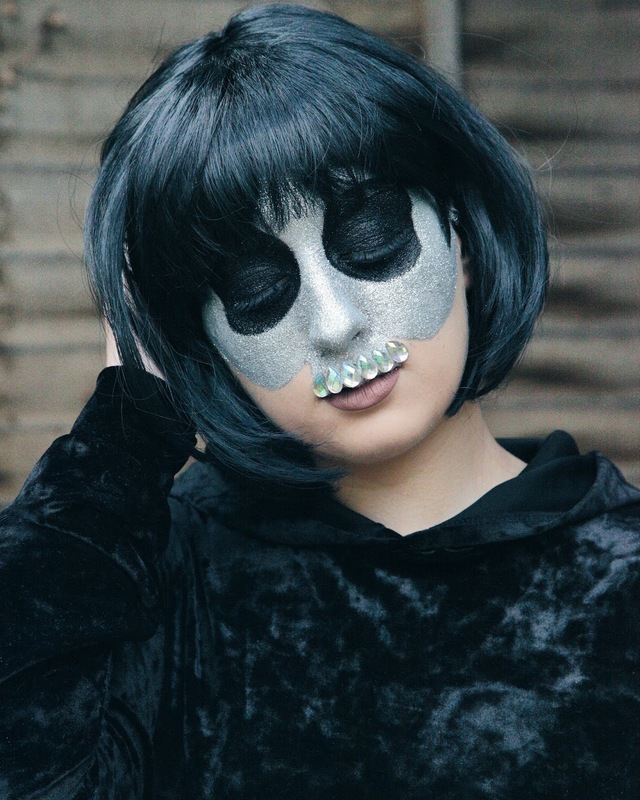 Halloween is so versatile and it's great that it allows you to choose the extremity of your look, so whether you choose to go all out with the liquid latex and dripping blood or you're more of a subtle dresser with a pair of cat ears and a tail, there is always something for your mood! I must admit though, that it's always better to go all out so at least no one can say you didn't try! 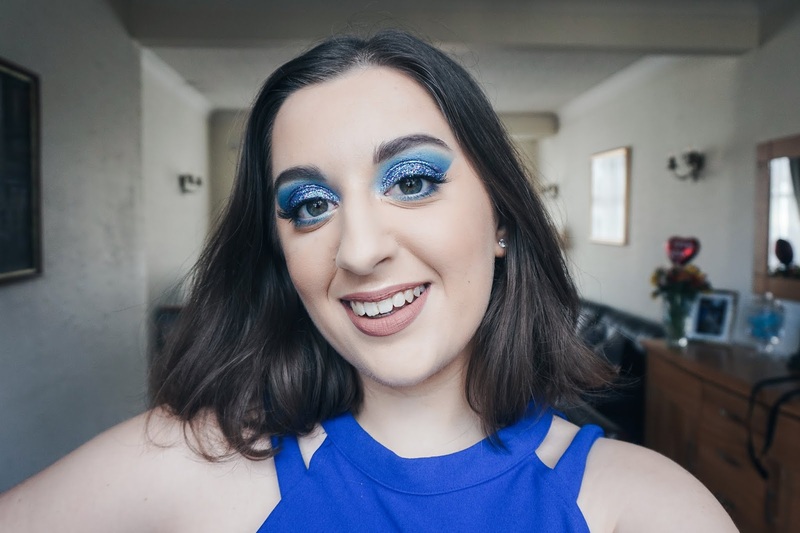 Be sure to let me know in the comment section down below, what you think of this look! Are you a fan of glitter or do you loathe the fact that it always turns up just when you thought you got rid of it all?! Me too, lovelies, me too.